Through the RILINK consortium, the Bain Library has a subscription to CultureGrams. 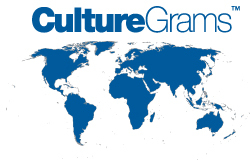 CultureGrams is an online learning resource that provides concise, reliable, and up-to-date cultural information on hundreds of countries, as well as the U.S. states and Canadian Provinces. Please see Ms. Grabbert to get the username and password for CultureGrams. Click on the links below to access CultureGrams, and a CultureGrams information sheet.